What better way to review expository text elements than with an Expository Emergency Room? 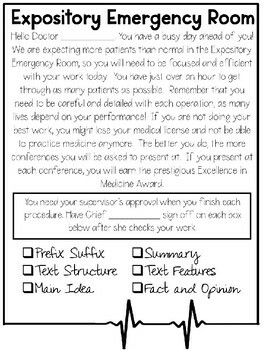 This transformation pack includes all of the materials that we used for our 5th grade review with prefix/suffix, text structures, main idea, summary, text feature, and fact and opinion. Based on our upcoming assessment, these were the topics we needed to cover most. With this pack, you can also customize activities to make them work for your classroom and students, no matter what grade level or topic! 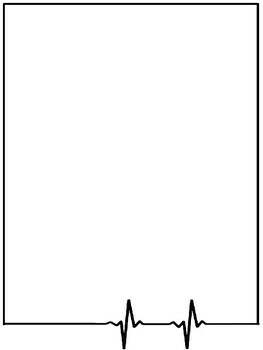 Most pages are editable and some have the article suggestions removed so that you can put in your own reading material. Remember, it’s all about the buy in! 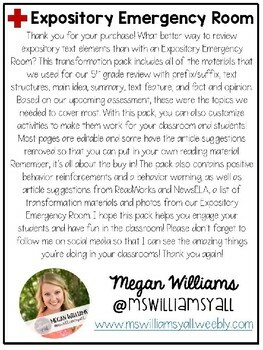 The pack also contains positive behavior reinforcements and a behavior warning, as well as article suggestions from ReadWorks and NewsELA, a list of transformation materials and photos from our Expository Emergency Room. I hope this pack helps you engage your students and have fun in the classroom! Please don’t forget to follow me on social media so that I can see the amazing things you’re doing in your classrooms!